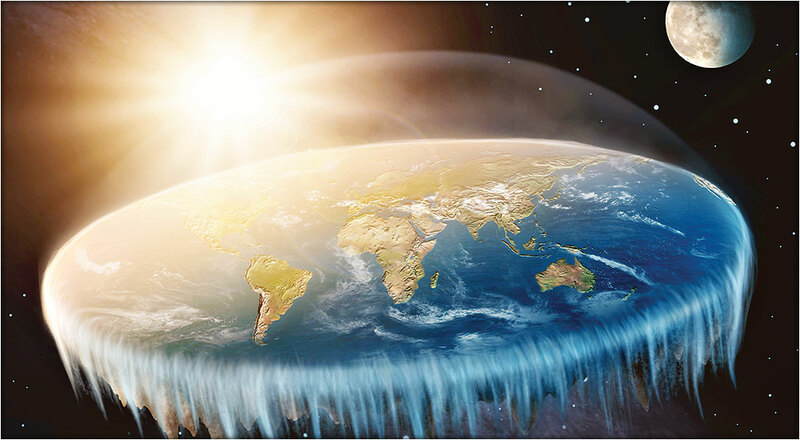 The fact that the earth is round and not flat was demonstrated, if not proven, a long time ago by ancient Greek philosophers and mathematicians. But did you know that present-day astronomers believe they have proven the universe is flat? Besides directly observing the curvature of the earth (or the entire globe) from space, a simple proof the earth is round consists of plotting three very long sides of a triangle, say from one continent to another, and precisely measuring the angles at each juncture. If the angles add up to more than 180 degrees, as they do in an elliptical triangle, it means the lines are curved and the earth is round. Incredibly, astronomers have used the same principle to find out whether we live in a curved, and so finite universe, or a flat, and infinitely expanding one. With the earth as one point in the triangle, and extremely distant galaxies (billions of light years away) as the other points, and adjusting for the Einsteinian curvature of space by gravity (via black holes for example), astrophysicists have been able to prove that the universe, unlike the earth, is flat. That is, it extends infinitely in straight lines in all directions. Given that’s true and I have it right, this is fascinating stuff. But the astronomers go one step further and make a fatal error. They say that the fact that we humans are able to find out that “the universe is flat” using our intellects and the technologies our intellects have invented, gives them a great sense of wonder at our own intellects. Scientists who gaze into the cosmic pool and see the reflection of their own minds believe that the intellect is as great or greater than the universe, implicitly equating the human mind with “the mind of God.” That’s human hubris run amok. Astrophysicists haven’t figured everything out, but most are cocksure they will. 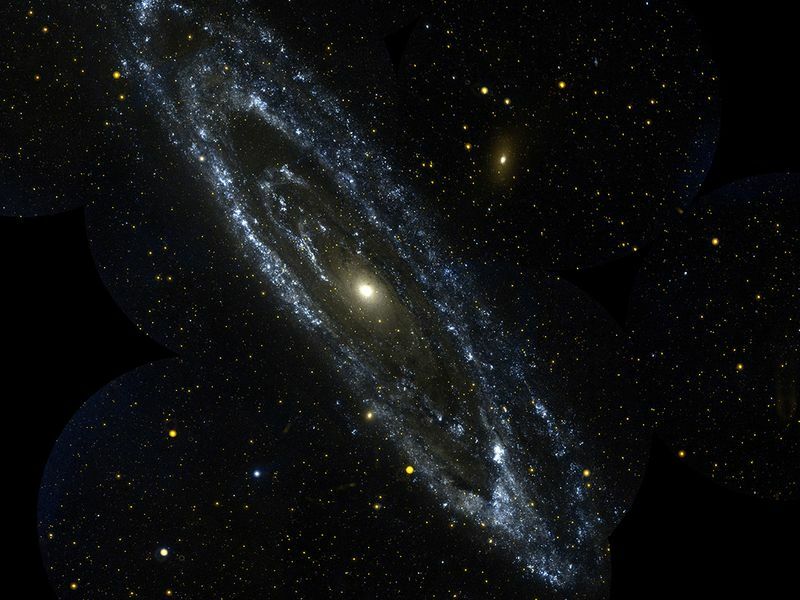 They’re beginning to create experiments and directly observe the existence of dark matter, for example, which no one imagined even existed a generation ago. 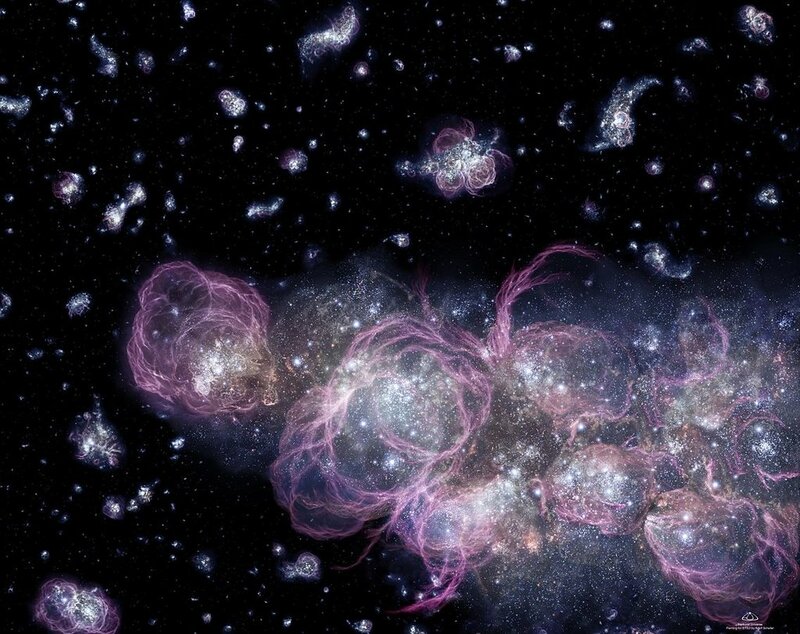 Dark energy is another matter, pardon pun. It’s called ‘dark’ because it’s unobservable, a complete mystery, though it’s thought to be responsible for the expanding, indeed accelerating universe. To my mind, there’s a very basic question that astrophysicists aren’t asking: Was all the energy and matter that exists in the universe released from the infinitesimally small dot of the Big Bang, or is the universe in a state of perpetual creation, in effect continuously and, relatively speaking, microcosmically recapitulating the Big Bang? If the latter, creation didn’t just occur 13.8 billion years ago, it’s also occurring every moment. That would mean the first law of thermodynamics—the law of conservation of energy which states that the total energy of an isolated system is constant, and that energy can be transformed from one form to another, but cannot be created or destroyed—does not apply to the universe as a whole. Clearly, the cosmos is not an “isolated system,” but a totality in constant state of creation. Given that premise, science will inevitably always be behind the curve. The universe is not just expanding from single point that contained all energy and matter, but it’s the Big Bang plus the continuous creation of new energy and matter. This could be an explanation of where so-called dark energy is coming from, and why the universe is expanding at an accelerating rate. This acceleration isn’t likely to continue, and at some point there will probably be some kind of phase shift that affects the whole shebang. There is a parallel here with consciousness itself, and a potential reconciliation between the scientific mind and the religious mind (without religions). That is, reconciliation as long as there is the insight and realization that the scientific mind, like the intellect, is always and inherently partial, whereas the genuinely religious mind reflects the whole. The scientific mind rests on separation and reduction, whereas the religious mind encompasses the whole by beginning and ending with the actuality of wholeness. The completely, attentively silent brain contains the whole universe to the degree of the individual brain’s capacity. That’s why stillness is the true source of awe, reverence and love, not the human intellect, which always gets in the way and does harm when it is put first.